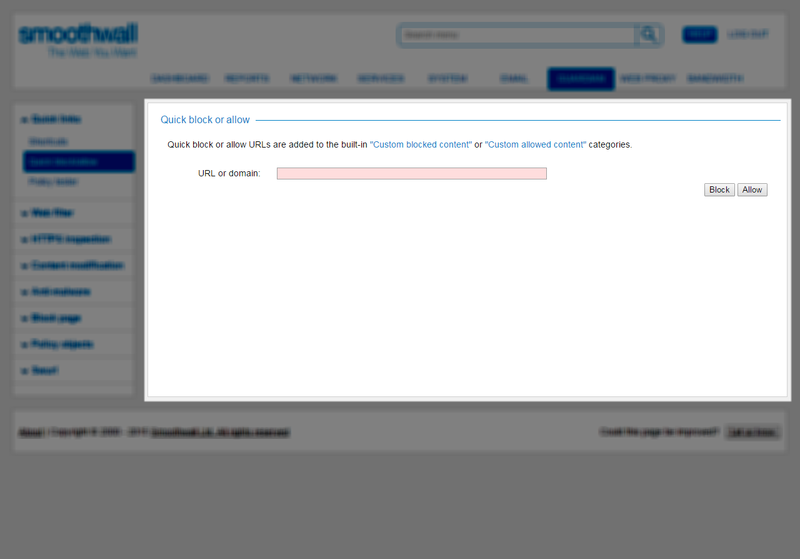 Guardian enables you to block or allow content immediately without having to create or edit a web filter policy. 1. Go to Guardian > Quick links > Quick block/allow. 2. Enter the URL to the content you want to block or allow. 3. Click Block or Allow depending on what you want. Guardian immediately blocks or allows the content and adds the URL to the appropriate custom blocked or allowed content lists.